4. Key persons/visited accepted authority contact details from Industry: V. Venkatesulu , Dy.Director(E), 9440907390. 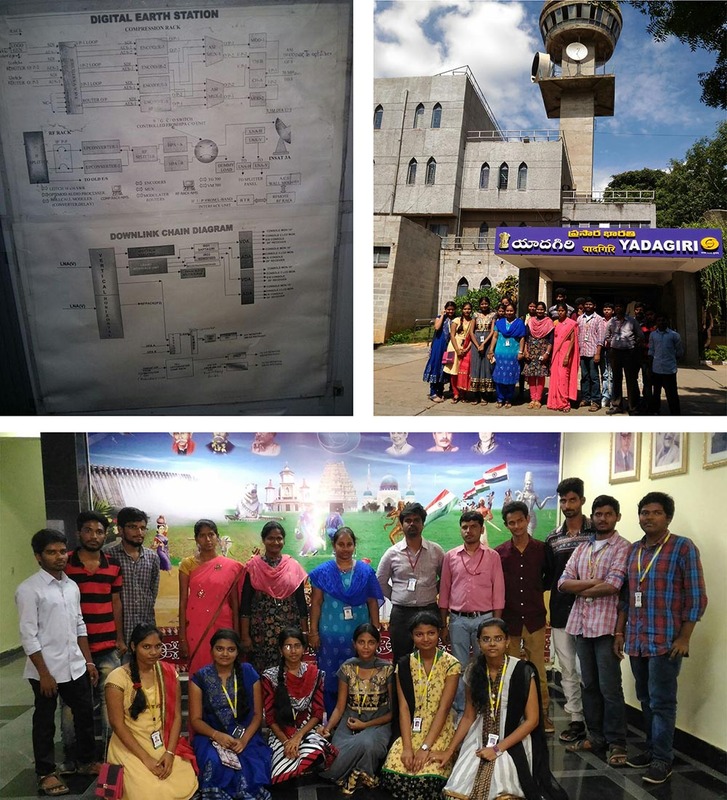 Report of the visit: Students of CSE final year & Second year along with the faculty coordinators departed from the college at 11:00hours by college bus and reached DOORDARSHAN KENDRA, Ramanthapur at 11:30hours. The visit started with the video recording room where Mr.PRASAD, Assistant Engineer at Doordarshan Kendra, Ramanthapur, explained the concepts of lighting, cameras used with live demonstrations. Further, he explained VTR section where the live news reading is telecasted on YADAGIRI CHANNEL followed by different audio and video mixing techniques with a check of their technical knowledge. Afterwards, he took the students to the main transmission section from where all the recorded programs and live programs are telecasted through the antenna. Finally, the students visited the Outdoor Broadcasting Van (OB Van) which was the centre of talk among the students as the van comprised of a separate set of transmitter and receiver within itself. Doordarshan Kendra: Visit was conducted for about 3 hour and 30 min. sessions which covered the following details:-. And Following Departments we had visited. At 2.30 P.M. We had Completed Our Visit at Doordarshan Kendra and left the Prasar Bharati Campus. We are thankful to Mr.V.Venkatesulu and their team for their great efforts.